PhyMet, Inc., named for the Physicist and Metallurgist who founded the firm, has been dedicated to providing the highest quality solid lubricants since its founding in 1986. The MicroPoly® Lubricants brand, produced by PhyMet, is the industry leader in Microporous Polymeric Lubricants (MPL) for sliding friction and bearing applications. To meet the growing demands for MicroPoly, PhyMet opened a new, state of the art facility in 2002. PhyMet has an extensive research and development laboratory. Its R&D department has led the solid lubricant industry in developing several new innovative, high performing products. These innovations were driven by the demands of our customers for higher efficiencies and longer performance life. PhyMet has developed food grade formulations, industrial formulations, products for high speed, high temperatures, low temperatures, and heavily loaded applications. Our R&D staff has developed our products beyond MicroPoly filled bearings. MicroPoly can be used to lubricate chains, gears, bushings, wear plates, wheel flanges, ball screws, and can be processed into a variety of solid profile shapes. PhyMet has consistently provided superior product quality and technical service and is recognized as the leader in the solid lubrication system industry. PhyMet received the Blue Chip Enterprise Award from the U.S. Chamber of Commerce for "Its superior hiring practices and innovation in manufacturing." PhyMet, Inc. is a woman-owned and managed company operating in the greater Dayton, Ohio area. As part of PhyMet's commitment to total customer satisfaction and outstanding quality, PhyMet is certified to the ISO 9001:2008 standard. MicroPoly® lubricants are solid lubricants consisting of a mixture of polymers, oils, and other additives that provide superior lubricity, reduced maintenance costs and longer service life than traditional lubricants. MicroPoly solid lubricants can be used to lubricate bearings, chains and wheel flanges and can be made into a variety of solid profile shapes. MicroPoly lubricants can be customized for specific lubrication requirements to handle a wide variety of applications in industries such as: food processing, steel, mining, chain, metal processing, foundry, OEM, printing and automotive manufacturing. MicroPoly lubricants feature a proprietary oil-filled porous polymer structure that fills the space between the rolling elements and race, keeping contamination out while maintaining a supply of oil in the pores. 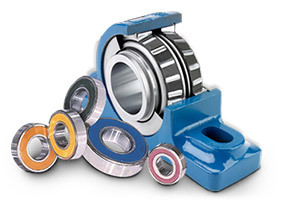 The oil lubricates the bearing surfaces by capillary action. Additional oil is supplied to the bearing from the reserves in the pores. There is no need for maintenance or additional lubrication during the life of a MicroPoly filled bearing, saving you time and money.